Out with the old and in with the new – finally. The launch of Pak Suzuki’s new Cultus has been a long time coming. Having owned the 2004, 2006 and 2016 Cultus (of which I’ve held onto the 2006 model), the new Cultus is definitely a world apart; clearly the newest work-horse for Pakistani families and the corporate circle. The ON/Premium is currently around PKR80,000 for the new Cultus on top of the PKR 1,391,000 invoice price. Add on the registration, filer/non-filer tax and insurance and it will cost around PKR 1.6 million. The aerodynamic design of the new Cultus is a definite plus as compared to previous models. I’ve always said that the exterior qualities are subjective. Vehicles are something that eventually grow over you. The new Cultus is function over form, though it is pleasant to the eyes and in particular, I find the bright blue colour attractive. I wouldn’t term the exterior a work of art, but it’s quite alright. I’d need to see more of them on the road to get a real feel for how they stand out in a sea of traffic. Overall the ride was stiff, which may or may not work for some drivers. Perhaps the condition of our roads and our driving style is the reason why local automakers not only keep the tyres a bit hard but also the vehicle suspension and seating so they can take the beating that will inevitably be unleashed on them. Powerpak features like electronic power steering, electric windows and electrically adjustable side view mirrors are included in the new Cultus, apart from dual front SRS air bags, anti-lock braking system and keyless entry with immobiliser. Where do you spend most of your time? 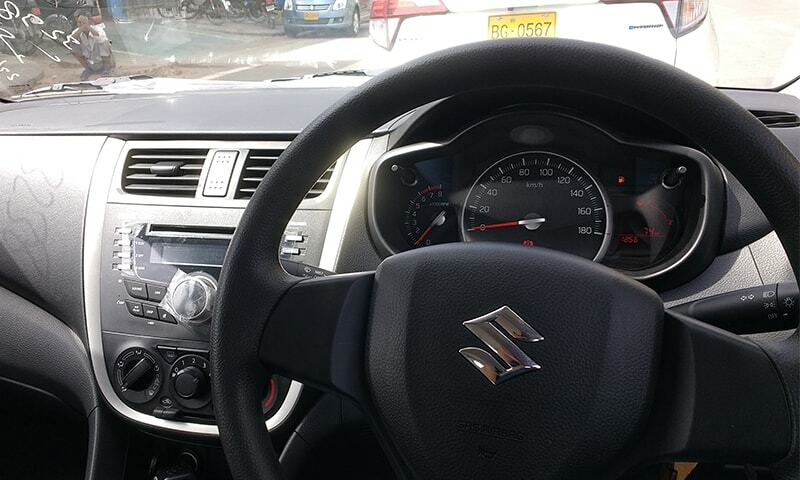 Inside the vehicle, driving it. I search for a Zen-like experience when it comes to car interiors. Everything must be within reach without leaning forward, and though no Alcantara leather shall grace your touch, the material should feel dignified. I don’t think the Cultus is quite there yet especially when it comes to materials used, but overall the interior is fine, everything is comfortable and well in reach. These are the biggest additions over the previous generation; the Cultus now has power steering, power windows, power side mirrors (not in VXR), dual airbags as standard (not for VXR), ABS (not in VXR), and few other acronyms to help you be comfortable and safe on the road. There’s no NAV though so if you’re lost, you’re on your own. You do get a CD player with 4 speakers in VXL and 2 in VXR. Pak Suzuki has been able to provide equipment to improve passenger comfort, entertainment, safety and security as well. The new Suzuki Cultus is a giant leap forward from the previous gen, it also comes equipped with immobilizer. 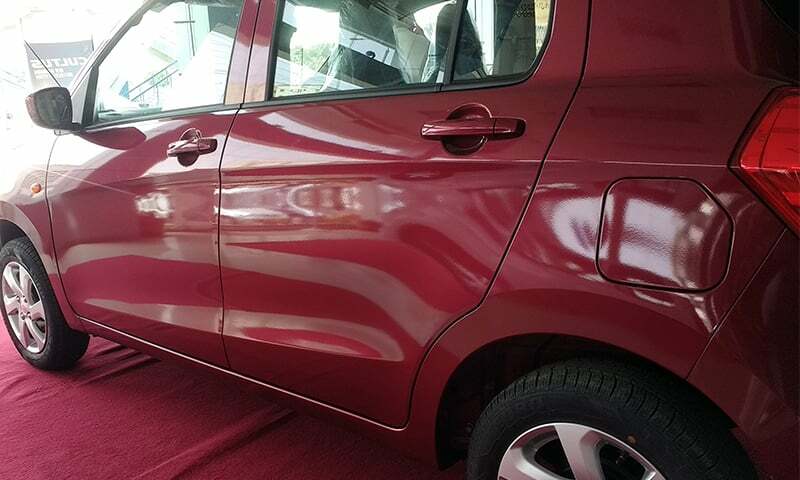 The Cultus comes equipped with the same 1,000cc K10B engine producing 67 HP (50 kW) that Celerio has everywhere else. It’s an efficient little engine that doesn’t offer as much power as the larger Swift but it does make for good city driving. I didn’t downshift from the third or fourth gear to see how much torque it offered to overtake and exploit those spaces that open up in a clogged traffic; I didn’t feel the need to downshift at any point. I quite liked the engine, though this may be a hit or miss for some depending on what you’re looking for in your purchase. 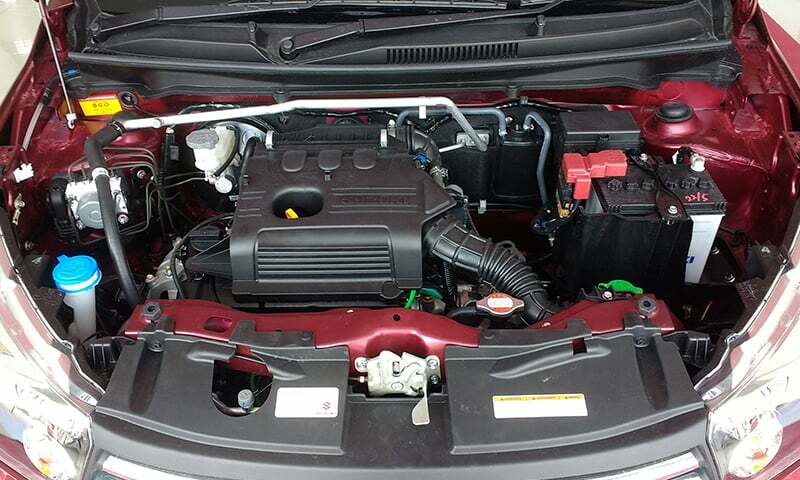 The new Cultus comes with an advanced K-Series 1000cc engine. It was surprising to learn that Pak Suzuki doesn’t offer any stats or official figures on its mileage when the Indian Maruti boasts a 23.1 KM/L mileage. The salesperson accompanying me during the drive said the car is expected to give a 15-16 KM/L mileage as per our traffic. 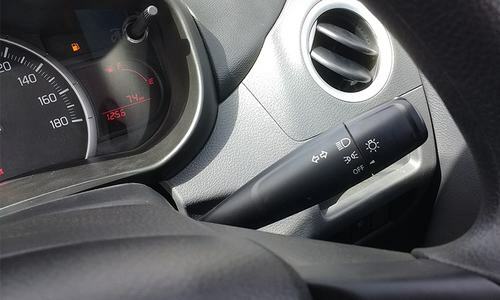 If anything, I am eager to test out the automatic-manual transmission (called ‘AMT’) that the Celerio has in India. Hopefully, since we have mostly the same specs in this Cultus, we can expect that transmission to be made available soon as well. The new Cultus is a move in the right direction by Pak Suzuki. Many would argue that in that price range there are plenty of better options, but you should give it a try before making up your mind. It's a good effort by Pak Suzuki to offer a vehicle that pleases the broad base it tries to cater to. I’d recommend getting behind the seat and giving it a drive. This content has been independently produced by the writer and Dawn.com. Pak Suzuki has paid for association with the content. The Swift has a new name? Swift has morphed into Cultus. So what car has the name Swift? 1.6million in usd is how much?does loan with banks exist in pak or need to pay cash only?..cash wud be ridiculous...nobody buy new car with cash in malaysia..even 10 thousand usd newest car we take loans of 7 to 9 years.. Pretty basic stuff in Middle Eastern, Chinese , Japanese , American, and European markets. Most of this and much more is easily available in vehicles much less the cost and better brand name than Suzuki. We buy similar cars in India at between 4,00,000 to 5,00,000 INR. It might be a good car but the lack of automatic transmission is beyond my understanding. The absence of AT will ensure that market of JDM's remain intact. Celerio's AMT is Made in India and not anywhere else. Considering, Pakistan has restrictions on import of auto parts from India chances of launch of AMT is extremely low. It might launch in CVT but will have to wait. Furthermore, lets not forget it was launched in early 2014 the world over and has arrived in Pakistan nearly 3.5 years late. Paksuzuki has also removed the rear wiper / washer. @natey 1.6mn pkr equals ~15000 usd. Yes approximately car financing through banks exist as 35% of the new cars bought are financed by banks, however cash is still the king here. It was too stiff for me, but better than rakshaw called the Mehran. The interior is plasticy and will soon start giving sounds. ABS, Power and airbags are still optional, shame that can't even give basic safety with 1.6 million . Given we have Vitz, only an insane person will buy this. This should not be more 800K. @mALIK not even few more. City manual is below 1.6 mil tag. It is not a good buy against FAW V2,the Chinese equivalent with much better list of equipment and almost Rs.600,000 cheaper, with a much longer guarantee package. FAW V2 is much better than this new cultus. Guys, this one is made in India. The Rs 1.6m price tag is ridiculous for this car. It should not cost more than 8 or 9 lacs in Pakistan. Better cars are available at far less in the developed markets. Why do we have to pay both arms and both legs for this junk ? Three automobile manufacturers have monopolized the automobile industry Ripping the customers of there hard earned money by overcharging for slight built and modest cars which if in Europe will only cost below 0.8 million rupees This cultus is only worth 500000 rupees and they are charging 1'3 million for this crap Who will hold these mafia automobile makers accountable?? its too expensive given we have Honda City (Manual) available at the same price and also Vitz and if one can spend Rs. 1.6m then why should go for this tiny car rather Aqua (Hybrid) with all the modern features can be bought for Rs. 1.8m. Too expensive!!!! Where is the price regulatory authority? @natey Most cars are sold for cash in Pakistan. At the list price you get delivery after 6 months. If you want faster delivery you have to pay the 80k "premium" that the author mentioned. Rs. 1.6mill is about $15,311 @ 104.5 (which is the interbank rate. the open market rate is higher at 106). For many decades now the government of Pakistan has maintained an auto policy that discriminates in favour of auto assemblers. As a result consumers get very poor value for money. The cars sold here are obsolete, have inefficient engines and are unsafe. Ferrari of poor :) Few months back I bought new 1.3 A/T Honda City and with all taxes and registration it cost me around 17.5 Million (USD17500). Suzuki Pakistan should focus on commercial vehicles like Bolan or Jimny for government sector. This is a great little car and same/similar specs as the UK model Celerio minus dab radio and sat nav. However, at 14 lacs plus registration its just too expensive when you can get top spec celerio for around £10k in UK or under 7k in base model. @abu.ashhad ............ it's obvious how much suzuki is strongly linked with Government Sector. This person is misguiding people regarding the price. For non filer it is only 1.43 million and there is no such thing as on premium or own on this car. Company delivers instantly. Besides the pricing part, the remaining article is a well written review. @ehs Auto transmission will come towards the end of this year. 1.6 million for the ghee tin hehehehe very funny Suzuki with companion of govt looting the poor people of Pakistan.